Not only a Limette but WDO added a little splash of orange so it pops even more. Well done. Hey, ive been lurking for a few weeks. Got this from the post office today. Just want to share my excitement with you guys. 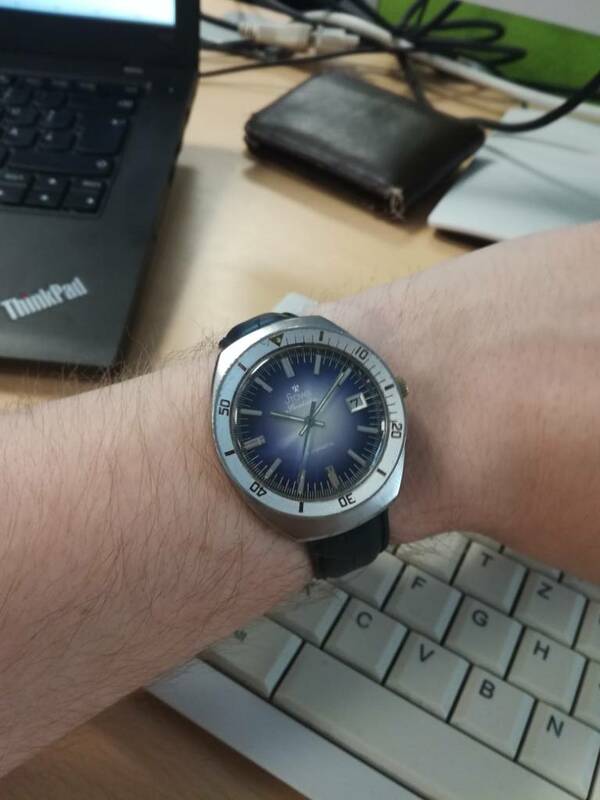 Also I dont think I have seen a picture of this watch here before. Fikk, omeglycine, ThaWatcher and 5 others like this. Welcome to WatchUSeek and welcome to the Official Jörg Schauer & Stowa forum as well. Very nice Stowa. Haven't seen this one before, but in my defense i'm new to Stowa! Nice catch. I think this watch would also fit this thread. Welcome to the boards and superb first post! Fancy the blue Seatime a whole lot! Thanks for sharing and enjoy your New-To-You Stowa!! Back in 2005 and only for a limited time you could order your Seatime Prodiver in all RAL colors. platinumEX, gward4 and Dooberfloober like this.